The following was recently received from Sgt. George Waguespack, an active NOPD officer, in response to our recent Letter to the Editor regarding the planned changes to the NOPD detail system. I would like to invite and encourage anyone who would like to share their thoughts on police details to submit something to be published. It can be about these so-called “reforms” or it can be your personal experience working paid details with how the detail impacted the community we serve. It could also be about how working paid details has impacted your family. I would also like to strongly encourage anyone who works details to ask their detail employer to contribute their personal experiences with paid details and how it effected their business or event. I will be happy to give the author credit for the article or post it anonymously at the author’s direction. Furthermore, I will refrain from editing (except maybe spacing for readability). You are welcome to submit something even if you do not work for NOPD. Email me or call me about submitting something — Donovan Livaccari dlivaccari@gmail.com; dal@livlaw.com; 504-905-8280; or click Contact Me. It is hard to believe that detail rates are being sent back to the last millennium. The“department” prides itself on moving forward and becoming a model department for the rest of the country. It is rather hard to move forward, when policies such as the detail policy takes us back 15 to 20 years, as far as the detail rate goes. In my opinion, retention is one of the biggest challenges the NOPD faces today. This new practice, along with the new residency requirement, will have a crippling effect on retention as well as hiring. I have worked details for 28 years as a means of financial survival and a way to provide the things my family, as well as I, deserve. It was always a way to provide private education for my child, a way to buy a reliable, safe car my wife could drive, a way to go on vacations that I deserve, as a means to get away, de-stress and spend quality family time that is needed. All those years of working different shifts, being on unpaid call out and working details cause so many of us to sacrifice time away from home and family. But, as a responsible man, I did what I had to do to provide for my family. Working details was a decision I made, not always a popular decision, but a necessary one. We, as police officers, are called greedy and corrupt, by those who have no idea of what it takes to survive on the salary of a NOPD cop. I am neither greedy, nor corrupt. I am a man who is a professional police officer, a man who takes pride in his job and work, while giving my all to the department and the career I chose. Details provide the opportunity to get some of the finer things in life, things which many people take for granted. My working of details has never affected my performance on the job. I know my limitations and have learned to balance the amount of details I can work, without it effecting my primary job’s performance. People in other jobs and careers who work a lot are called go-getters, hard-working people who want the best for their families and are looked up to for their drive, dedication and determination. But we are called greedy and corrupt. Well, walk in my shoes and you will see that I am no different from any other hard-working man. To think that in the dog hot days of the summer, as I sweat like a pig for hours in the sun on a construction site, or on a traffic control detail, or on another equally miserable detail, I have been reduced to $29.00 an hour, while $5.00 an hour is being taken from me by someone who does nothing. And when I am freezing in the winter, I am losing the money I deserve and I earned, so $5.00 an hour can be removed from my pay. I worked the detail, I deserve full pay for my efforts. The following was recently received from an active NOPD officer in response to our recent Letter to the Editor regarding the planned changes to the NOPD detail system. I’ve always wanted to be a Police Officer, for as long as I can remember, and my dream came true in 2004. I was so proud to wear the uniform and serve the citizens of New Orleans, and I still am, to a degree. We Police Officers put our lives on the line everyday and never complain about it, and this is the treatment we get? I work hard to make the small amount of money I make and work diligently and quietly with broken equipment, vehicles that break down every other day, and copy machines that don’t work. Yet I still rise every morning and put this uniform on. My permanent detail has sustained me and my family for 5 years now. Without it, I couldn’t pay my mortgage, my car note, or buy the medication that my disabled father needs. You see, it’s not about us as individuals. There are other people who solely depend on us to care for them. The media and public fail to recognize or acknowledge the great sacrifice we Police make everyday, they somehow forget that we’re human too. God knows that my world and the world of so many other Officers will be turned upside down when or if this reform takes place. Some of us will lose homes and cars at an alarming rate, and it frightens me. I am truly saddened and appalled by this and I pray that someone hears our cry. We took and oath to protect and serve this City and someone, somewhere should stop this. The following was recently received from a retired NOPD officer in response to our recent Letter to the Editor regarding the planned changes to the NOPD detail system. I have taken an excerpt from a comment of an anonymous Officer regarding the detail situation. The reason being that these comments perfectly describe the conditions upon which our Officers have to work Mission Two. Working an area that you may only see once a month or less frequently, puts one clearly in a disadvantage. It would be like taking an Officer from a district and assigning him to work in the Juvenile Office and telling him he has to learn how to fingerprint offenders without any training. And performing this duty only once a month at a time. On the subject of the new detail system, imagine what message could be sent to the city, if on the first home Saints’ game, no one showed up for the detail. Better yet, if no one showed up to work any detail for a week. I concur with the opinions which have been offered, the creation of the “Office of Police Secondary Employment” (OPSE) is in no form or fashion eliminating the possibility for corruption. It merely allows the political machine in City Hall to use the sweat and toil of the common man to pad the pockets of an arbitrarily selected “crony” appointed by the mayor. Many officers have for years done exactly what the department claims to desire and forged trusting meaningful relationships within the community only to have a mayoral appointee make a salary which is many times the salary of the individuals who are forced to work these details to provide a decent standard of living for themselves and their families. The city is offering no recourse except to force the members of the police department to become members of this feudal system which exploits the common worker. These officers who invested their time, their passion and their hearts into the relationships are not rewarded for the development of contacts but rather made to feel although their contribution is actually a negative unwanted and derisive behavior. The creation of this office does nothing to foster a higher morale within the department but actually tears apart the delicate fabric which is the union between the officers of the department and the members of the community because in addition to marginalizing the individual officers this “system” fails to provide peace of mind to the end consumer from the community. The individuals in our community who have sought and located peace of mind are deceived into to notion all police officers are equal. A veteran has years of experience to draw on, that experience should be rewarded not overlooked. Frankly the notion all officers are equal is an insult to the officers and an underestimation of the public’s intelligence. Finally, I for one, would like to see a greater degree of accountability concerning the usage of the monies seized by the OPSE. The language of OPSE concerning when the accounting would be released was very ambiguous. Speaking of the bond between the department and the community I would like to address the recent reinstitution of the residency requirements. In what Orwellian nightmare is this a good idea? The justification for mandating police officers to live in a community where they are forced to subject themselves to a lower standard of living, higher cost of living and the continual likelihood they will be confronted by an individual who harbors the officer ill will while off duty and accompanied by friends or loved ones is ludicrous, inane and counterproductive. The individuals who make up the department agree to the very real possibility harm coming to them during the performance of their duties but subjecting their loved ones to this possibility is unnecessary The residency requirement in essence forces members of the department to take a several thousand dollar a year pay cut to afford paying the taxes and other bills which happen to be higher in Orleans Parish. The theory officers need to live shoulder to shoulder with the general populace of their jurisdiction is an antiquated idea. I would also like to visit the topic of “plain talk”. “Plain talk” was instituted as part of the interagency cooperation plans, however it plainly speaks to the fact the policy makers are completely out of touch with reality. First the reality of the situation is any outside agency that comes in is not just going to be handed a map and told to patrol the streets. There is a departmental liaison assigned to work with the outside agency. Additionally it creates several safety hazards. Speaking in “plain talk” creates additional radio communication requirements which in a situation in which seconds mean the difference between life and death the ability to transmit information is of the utmost importance. Also often we are called upon to communicate information which is sensitive and “plain talk” eliminates the possibility to do so without the general populace understanding the messages being conveyed. If a subject is alerted to the fact he is wanted and going to be arrested his reaction is likely to be one which endangers the officer and possibly the general population. There was a valid and important reason police began using codes that reason hasn’t changed and the need for the usage of the codes still exists. Many of the changes which our department has been subjected to appear to be poorly researched, illogical knee-jerk reactions to mistaken public opinion. Rather than educating the public as to why individual policies are in place our department has elected to become reactionary and allow common public opinion to make policy with little to no regard to what is in the departments best interest. Details swell the NOPD too a minimum of 3500 officers. That number if memory serves me correctly is what the FBI claimed would be the proper strength of the Department. Without them, the City would suffer from lack of manpower much more than now. For Example, the 2nd District without the Neighborhood watch escorts, not to mention the Tulane University perimeter patrol, swells to over 50 officers additionally at any given time. This is at no costs to the taxpayer, but rather the tight nit organizations that demand police protection to live there. Bourbon Street, Pat O’Brien’s, and the clubs were the reason it was safe to go there then as there were NO shootings like now. I don’t see how this is an aorta for corruption, seems like it makes sense. How could the City hosts the Major events without details ? Additionally, I was able to pay into Social Security, medicare, unemployment tax, and increased my own tax liability that funds the very agencies that are so critical of this practice. Don’t bite the hand that feeds you! So tax for 3500 officers or be grateful that some are hard-working enough to put in the extra hours and work their butts off for honest wages instead of doing dis honest things for supplemental income! I worked details for years and made several felony arrests and wrote reports, logged evidence, and went to court on my days off, and did nothing corrupt. In fact, I did not allow my regular assignment to suffer either. The following was recently received from an officer in the metro New Orleans area in response to our recent Letter to the Editor regarding the planned changes to the NOPD detail system. Greedy officers working details? I remember swearing an oath to protect and serve, to discharge the duties of my position fairly and impartially, to be fair and just in my dealings with the public. I don’t recall swearing a vow of poverty. Is it really greed to want to live in a decent home in a decent neighborhood? Is it really greed to want to be able to provide a good education for your children? Is it really greed to be willing to work some extra hours to save some money? When, exactly, did it become greedy to want to have a savings account? When did it become greedy for a police officer to want to have the same things that his friends and neighbors take for granted? On another front, police officers working many of these off-duty details are the only time most of the public gets to talk to a police officer. In New Orleans, the officers are so busy working through the backlog of calls and responding to those calls that are potentially life-taking that they have little to no time to actually speak to the folks they serve. When you’re on a detail, whether it’s a neighborhood patrol, standing in a store, at a restaurant or wherever, there is not that sense of urgency. Officers and citizens actually have the time to interact. People who talk to police officers for any length of time quickly come to the realization that we are actually people, too. 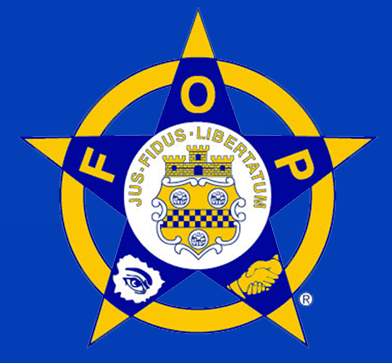 Although I’m not with (nor have I ever been with) N.O.P.D., this is my 38th year as a full-time law enforcement officer. It’s also my 36th year as a police officer who works these off-duty details to supplement my income. I’ve finally reached the point where I can “bank” my detail money and afford things like decent vacations and taking the family out to eat on more occasions than ever before. But I can also tell you that while working these off-duty details, I have come to meet and speak with many, many people who I never would have come into contact with. We’re approachable and not in a rush to clear the call and move onto the next one; we have time to be those “community-oriented” police officers who can take the time to listen and suggest avenues they can take to resolve their problems. I see the detail system has been labeled an “aorta of corruption.” Is anyone out there really naive enough to think that moving it under the mayor’s office will make anything better? Think about it…the N.O.P.D. is already under the mayor’s office and that hasn’t seemed to have worked out very well for many years now. A L.E.O. from another local agency. The following was recently received from an NOPD officer in response to our recent Letter to the Editor regarding the planned changes to the NOPD detail system. I have been an Officer for 10 years, and I love my job! I also love the fact that I have an option of making extra money to provide my family with the things they deserve. The best schools, safest neighborhoods to live, etc. Those things come with a price, a price every real man, husband, and father, is willing to pay if it’s in the best interest of his family. Let’s forget I am a Police Officer, and say I work in the private industry. If I was to work an extra job or overtime to provide for my family then one would be looked at as a strong dedicated person or role model, but I am a police Officer who “should be focused only on being a police officer”, and not making extra money. Why is it because I’m an officer it’s corrupt? The details have been badly labeled by federal government employees who make six figure salaries. I have never made a six figure salary even when I’ve worked the total 24 hours of details allowed within a week. The public has been persuaded by the media regarding this issue, and I don’t think they understand the NEED for an officer to have just a decent living by working extra hours. The comments I have come across on nola.com and other news sites are repulsive. Like it is with police work it’s now the same for details. With police work lots of people always tell me “thank you for what you do” and “I could never do your job”, but its the only profession where people have the need to tell you how you should do your job. You don’t tell a fireman how to put out a fire, a doctor how to treat a patient, or a barber how to cut hair. In closing I work a detail 5 days a week for 3 hours a day and I still get home in time only to see my wife dressing them in their pajamas, and putting them in bed. I’m gone before they get up the next morning. I miss them so much everyday but they would not have the things they have without my steady detail. I’m just glad they love me as much as I love them and I hope I can still provide for them in the near future, because with this new detail plan there is just no certainty. The following was recently received from an NOPD officer’s spouse in response to our recent Letter to the Editor regarding the planned changes to the NOPD detail system. I first want to start out saying that I married my husband knowing he was a police officer and what it means. I know that we won’t have a million dollar home or ever become wealthy because of his calling. I firmly believe that it isn’t just a job but a career and a calling. Okay with that being said these are my thoughts on the revamp. so that means they will use that money to pay those people. If the department would charge $2.00 an hour like Plaquemines does(which has been confirmed by a friend who works for Plaquemines) it wouldn’t be so bad BUT with Plaquemines everyone has a take home unit AND they are given their uniforms, gun belts, vest, etc…The break down for them is $1.00 an hour for use of the unit and $1.00 an hour for the other stuff. Yes, NOPD does give an uniform allowance, but that only covers about half if not less. My husband does not have a take home so he uses our vehicle and our gas. The third issue is the companies having to send the payment to the city and then the city will issue the checks, I don’t know about all of that. I mean really has anyone ever called personnel to get an explanation of their pay check. It is really scary because they can not explain it because they have no clue. So you mean to tell me that the police are suppose to be comfortable with this aspect. The fourth is the detail pay usually supplements their pay checks because of working in such a dangerous city you really need to have umpteen disability policies and life insurance or when the city decides to give an extra day of without pay in a pay period for any extended amount of time. For my family the paid details help pay for my husband’s gas back and forth to work, lunches/dinners, our house note, our children’s school uniforms and supplies (they go to public school), and other bills if needed. It also goes for the last minute uniform requirements such as, but not limited to the traffic highlighter looking vest that we didn’t know about needing until about three days before the special event oh and don’t forget the whistle too. Thank you for giving me a chance to share my grievances. I have many thoughts on other issues with the city and the department such as the domicile rule. I will be happy to share if you will be willing to listen. I will be happy to give the author credit for the article or post it anonymously at the author’s direction. Furthermore, I will refrain from editing (except maybe spacing for readability like I did below). You are welcome to submit something even if you do not work for NOPD. Email me or call me about submitting something — Donovan Livaccari dlivaccari@gmail.com; dal@livlaw.com; 504-905-8280; or click Contact Me. The public’s perception tends to shape political viewpoints and some policies within the police department. Details are no exception. The D.O.J. didn’t help the perception by labeling details the “aorta of corruption.” I’ve read comments from nola.com from citizens who have wrote that officers should be concerned with doing their jobs within the N.O.P.D. or officers were being “greedy”. The average citizen may not know that there are policies in effect already regarding details such as how many hours an officer can work details per week and an officer cannot be “on duty” with the city and work a detail. Details are basically part-time jobs and they are taxed like any other job. As for being greedy, the majority of officers who work details on a regular basis do so to supplement their income because they have to, not because they want to. Citizens may be under the assumption that having an Office of Secondary Employment will “shape up” the detail system, but there isn’t a problem to begin with. This newly formed office will take officers who have worked neighborhood details providing security for years, out of those neighborhoods and different officers will be in their place. An officer who was working the same detail for years knows the neighborhood such as who lives there, what vehicles belong where, and they would know what is out of place. Whereas an officer new to the detail would have to learn this and meet the neighbors. This doesn’t make sense for community oriented policing, which I thought was a strategy the department was in favor of. The new office was self described as being competitive to other security patrols and agencies. At $34.00 an hour, of which the officer receives $29.00, this is not competitive. Neighborhoods and businesses are not going to pay $34.00 an hour when they can get a cheaper rate elsewhere. This office will hurt the officer in the pocketbook and will reduce morale. Officers aren’t the only ones affected, neighborhoods and businesses should know the $5.00 extra per hour is said to be used for administration fees and payroll within the office, but at $5.00 per hour per officer this office will more than pay for salaries and administrative costs. A question should be what is this “tax” going towards? The following was recently received as a comment from an officer not employed by the NOPD in response to our recent Letter to the Editor regarding the planned changes to the NOPD detail system. I have worked for a few departments early in my career but I have been with my current agency for 12 years now. Most of that was done as a road officer then a patrol supervisor. Details for me, and most of the officers I know, are not a luxury. They are a necessity to survive and make ends meet. I know the old saying, “Don’t rely on a detail to pay bills because it may not always be there.” But I, and most guys, have no choice. From what I have read NOPD makes a lot more per hour on details than most details in JP and my agency. I read that the feds claim that the reforms reflect “best practices” of other agencies. They obviously did not get that from any agency in this area. JPSO and my agency both have a detail office within the department. All details must go through that office for approval. The detail rate is a set standard rate based on the type of detail i.e. regular detail rate is $25/ hr but highway/ road construction detail is $40/ hr. If a police unit is used for the detail, meaning the officer is in the unit and the unit is running, then the department charges $1/ hr for fuel. The price of details is not negotiable by an officer. Each detail is given to a ranking officer to schedule personnel to work that detail, who is paid $2/ hr for every hour worked as an admin fee for keeping the detail scheduled and staffed. This is because my agency’s detail office is not a paid gig, it is just a duty of the administration. It’s that simple and easy. I fail to see why they are making this so complicated and charging businesses a fairly large “tax” to have a detail. I think this may greatly reduce the availability of details for NOPD officers.